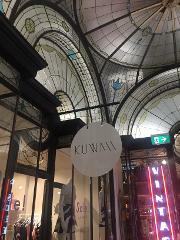 A walking tour of Melbourne for students wanting to explore Melbourne's fashion/design scene. Learn about the history of fashion, from the days of the booming local production industry to our current local designers & entrepreneurs. A walking tour of Melbourne for students wanting to see Melbourne's infamous foodie scene. Find inspiration in food, cafe design, marketing styles, and how an obscure location can work in a city like Melbourne. A walking tour of the City for students wanting to see Melbourne's built environment and public art scene. Find inspiration in form, space, and unplanned art. We can design a walk to suit your group activity and study focus. A walking tour of Melbourne, for students wanting to explore Melbourne's Laneways and Arcades. The perfect way for students to discover Melbourne's unique laneway culture. From the historical arcades, through to the street-art lined lanes. 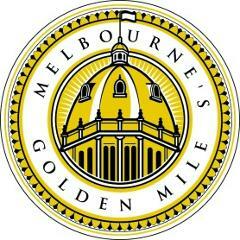 The Golden Mile Heritage Walk will add an interactive element to the lessons of Marvelous Melbourne and the early arrivals into Melbourne and the wealth of the city established by the discovery of gold nearby in 1851. A walking tour of Melbourne for students wanting to see Melbourne's infamous cafe scene.